As I write this (on the tube back from Archway in deepest darkest North London) my face is burning hot and my cheeks and stomach hurt, but I can’t help but smile to myself. 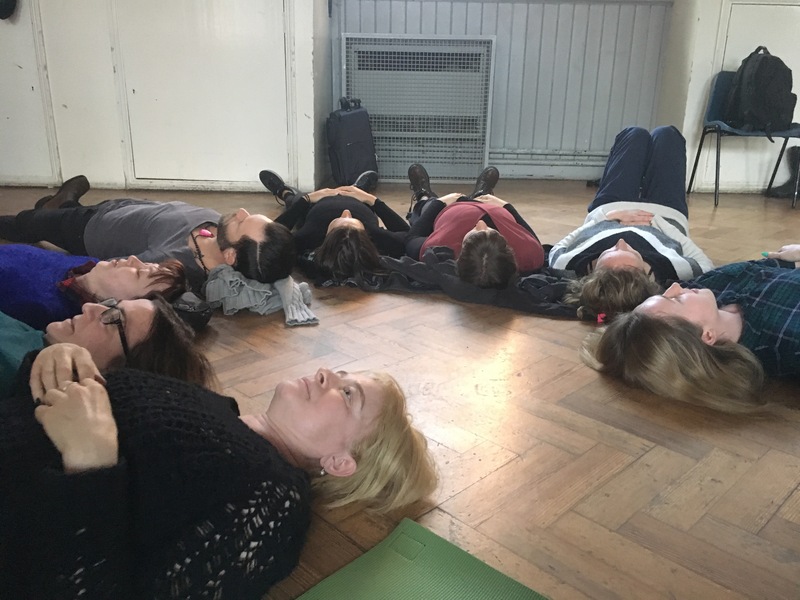 I’ve just been to Laughter Yoga, which I found on a great website I’ve discovered called Meet Up. I dragged my friend Eleisha with me, and it’s fair to say we had no idea what to expect! We turned up at Hargrave Hall to what looked like an AA meeting (just to clarify I’ve not been to AA myself, but it looked like what you see in films). 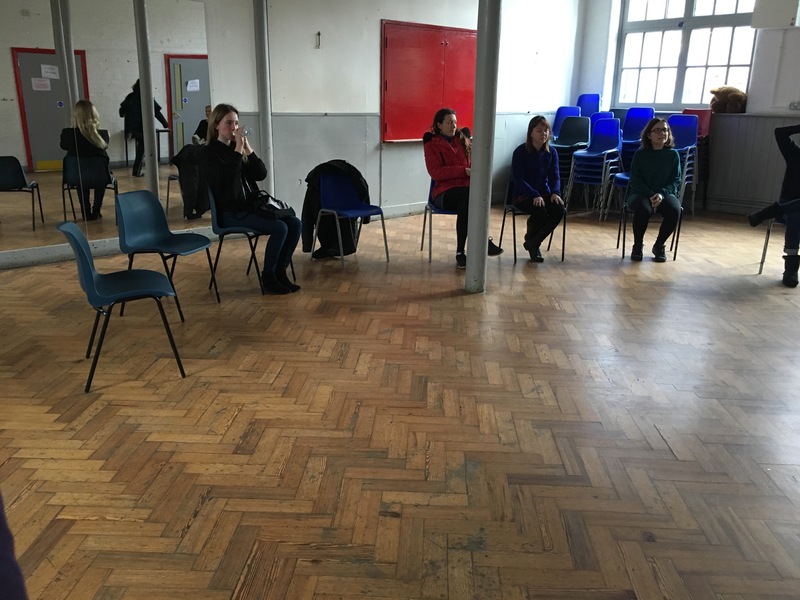 It was a small community hall with twelve women and two men sitting in a circle on plastic chairs. A few people said hello and started chatting, but generally it was a bit awkward and very apprehensive. This is totally how you imagine AA, right?! Odette introduced herself as the teacher and told us a little about Laughter Yoga. It was invented by a doctor in India in 1995, whose wife was a yoga instructor. The gist is that you get the same endorphins from fake laughter as you do from real laughter. And laughter is infectious, so even with fake laughing – once everyone gets going there will be some real laughter and you’ll all be at it. How true that is! Before I carry on I should mention that Laughter Yoga is nothing really like actual yoga. One of the similarities is that it’s about the breath, but you don’t do any poses or anything. 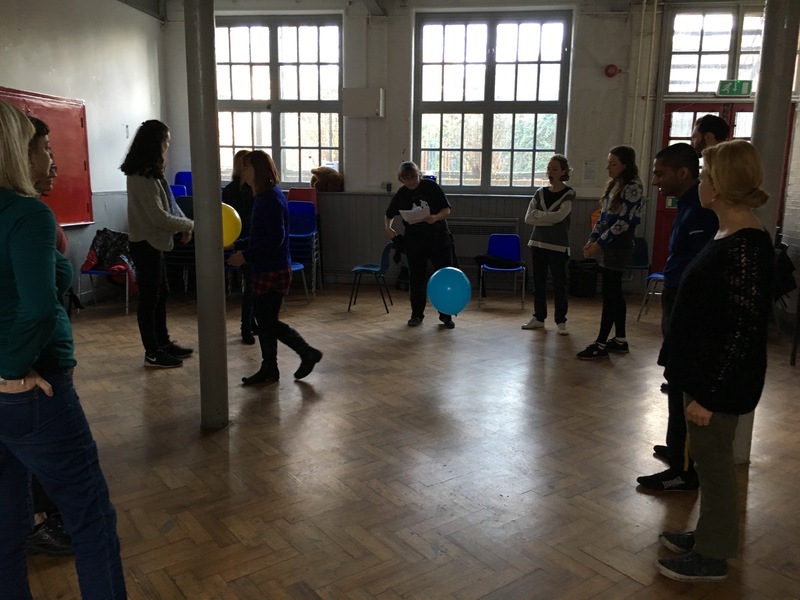 – A game where we stood in a circle and threw an invisible ball to each other. You could change the ball from pass to pass, so a tiny ball juggled to the person next to you, a giant heavy ball rolled along the floor, etc. – In two teams we passed giant balloons along the line between our knees! – Learning how to laugh to make you feel better if you’re on your own, so laughing on our pretend phones, and at a pretend book. – Learning how to laugh in adversity. I loved this one. We had to pretend we’d got a huge credit card bill and laugh at it, showing the others and laughing with them too. – Made a funny noise orchestra, where when pointed at you had to make your funny noise! I’ve probably missed half of what we did there was so much! Everything was done together, and in such good spirits – you were genuinely laughing with everyone and no one was laughing at you. My favourite was at the end when we all had to lie down in a circle, heads in the middle, and just relax. The laughter in this bit was genuinely hysterical. Me and Eleisha both cried! I was cackling, and then everyone would get it together and stop – before someone else started off and everyone was at it again. It was honestly hilarious – I think we were there for over ten minutes but it just flew. In the circle before the laughter commenced! After we’d got a bit of a grip we did a meditation and relaxed, and then sat up and went round to give our scores and say how we were feeling. I am pleased to report I’m now a nine! People felt really happy, like they’d connected with people and really brightened their day. One lady said she’d felt good when she came in, but now everything seemed more ‘colourful’. Dreadful picture but we are very happy! If you’d like to do some Laughter Yoga, I’d definitely recommend Odette. You can find out more on her website here. You could also check out Meet Up for Laughter Yoga near you. Good description – following you on Twitter now so I can keep up with your blog…. 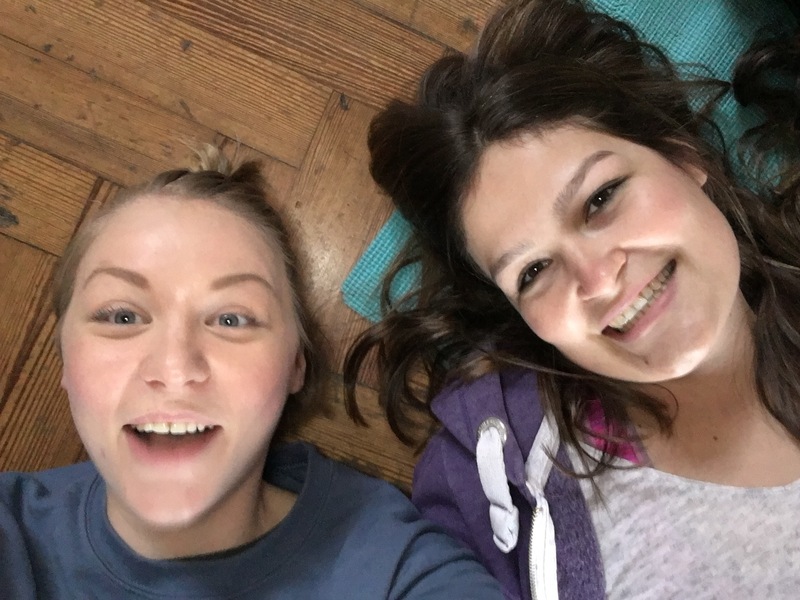 Ashleigh, love your blog and such a pleasure to have you join us for the laughter workshop. You should come along and experience our gong bath next!! 🙂 Very Good Very Good Yeah! !